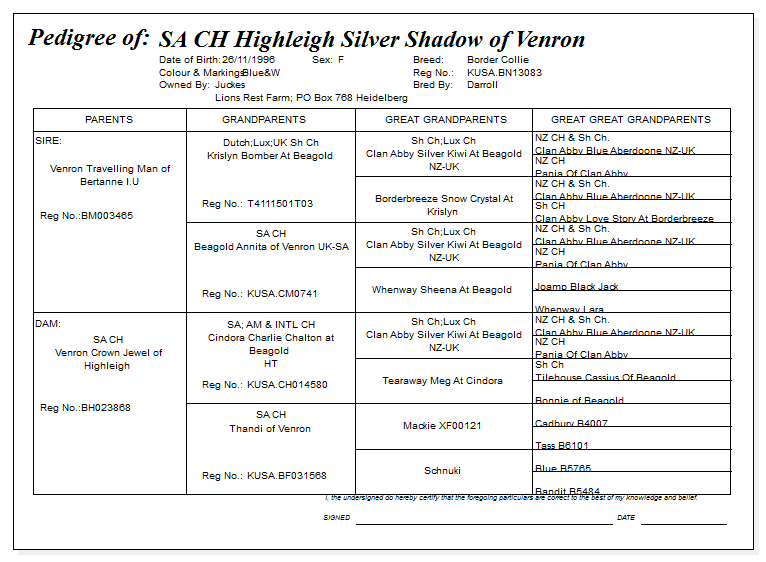 In co-operation with Di Darroll, we planned this breeding and were thrilled to obtain "Shadow" from it. 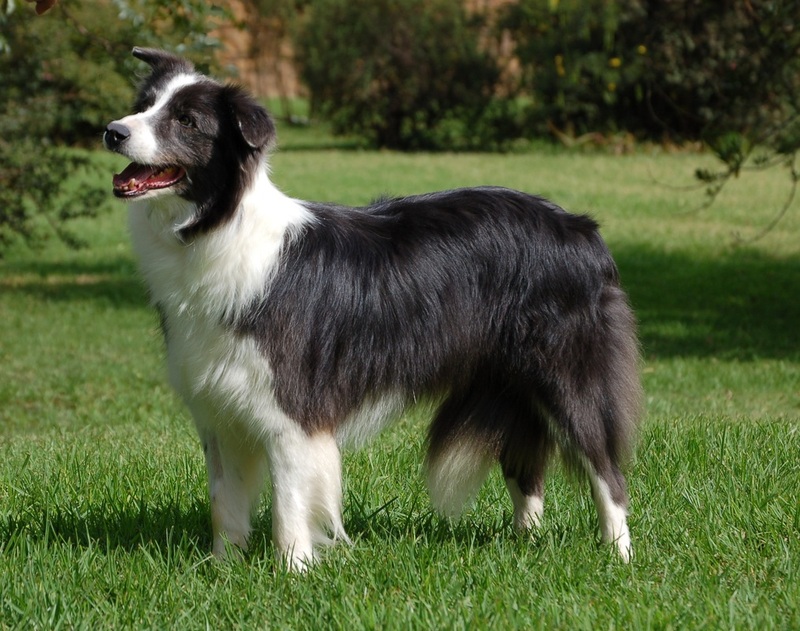 Although only bred from twice, Shadow has become the mainstay of our breeding and is the continuation of a strong maternal line. 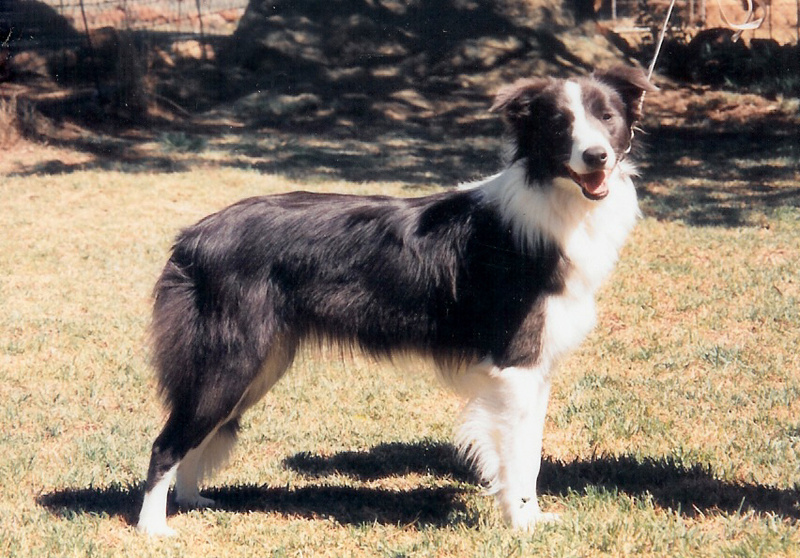 She has retained all the attributes of size, movement, construction, athleticism, temperament and working ability that we find so important and carried them through to the ensuing generations. 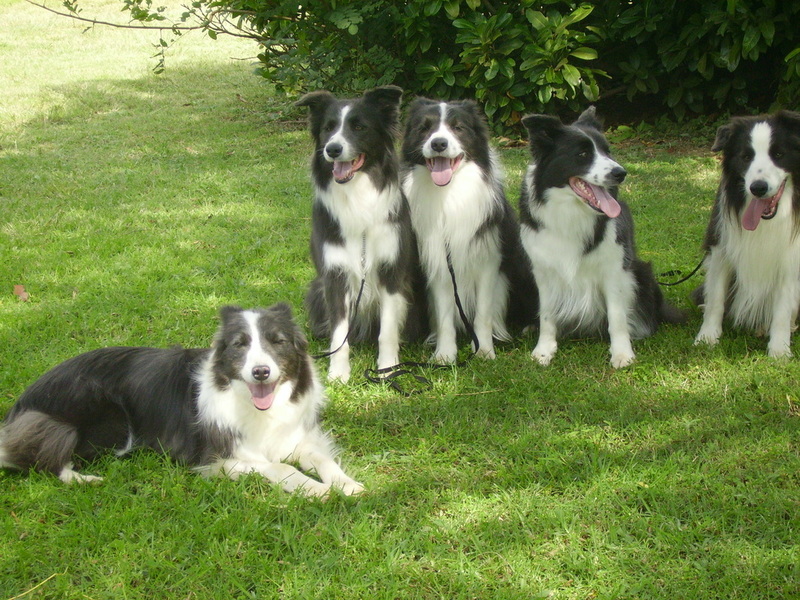 Shadow (in front) with her daughter and grandchildren.